Is your cat pestering you to go out? Does it scratch the door trying to get in when its raining. 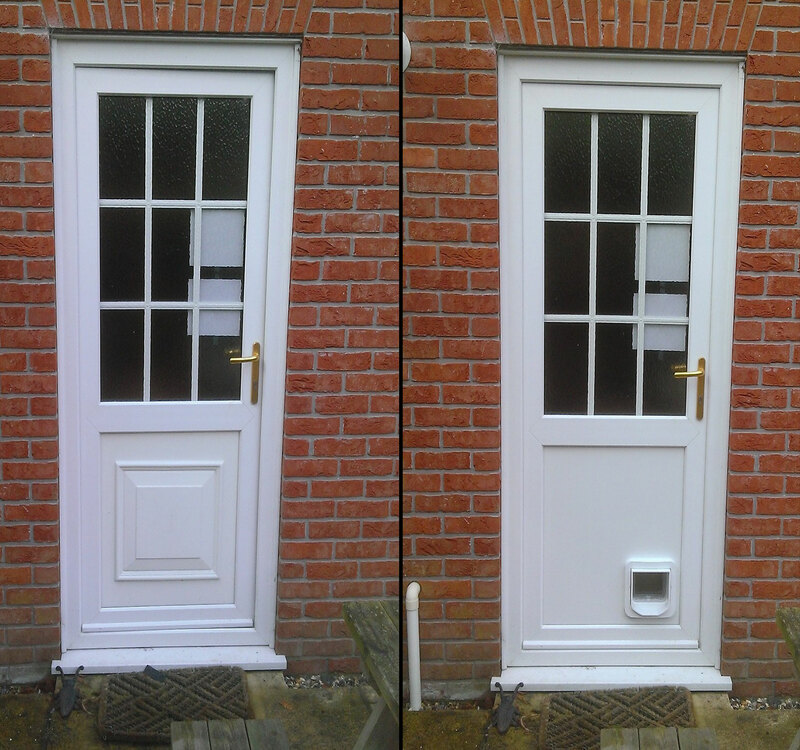 Cat and dog flaps can be fitted to most doors with a bottom panel. I can also fit them into glass for example if you have a full glass door or conservatory window you want to use. Panels with cat flaps in that you do not need can likewise be replaced with a new panel. I provide a free no obligation quote and cover the whole of Norfolk. If you have a query or problem related to windows, doors or conservatories contact me and I should be able to help. I’m looking at installing a dog flap into a double glazed sliding patio door. Can you contact me to discuss please.